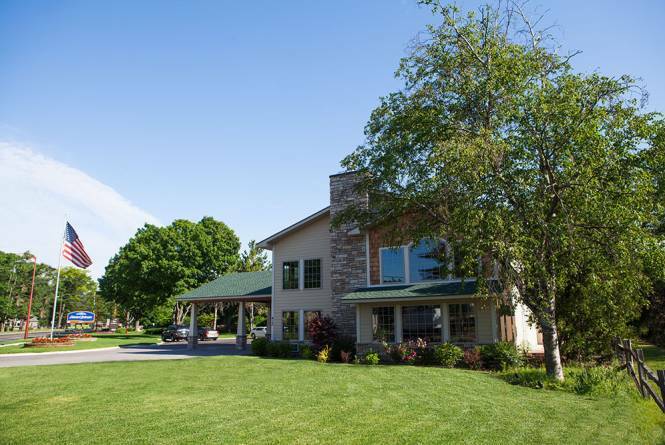 Located only a short distance from the charming downtown and breath-taking vineyards, Howard Johnson Traverse City is sure to become your new "home away from home" in Northern Michigan. Cherry wood furniture, flat screen televisions and Simmons Beauty Rest beds welcome all of our guests in our newly remodeled rooms. When you arrive to check in, you are greeted by our newly expanded lobby, which features a two-story stone fireplace and comfortable sitting area. Guests are invited to enjoy a continental breakfast every morning to help get you started on your Traverse City area adventure.